Tha’s what I’m talkin’ about! 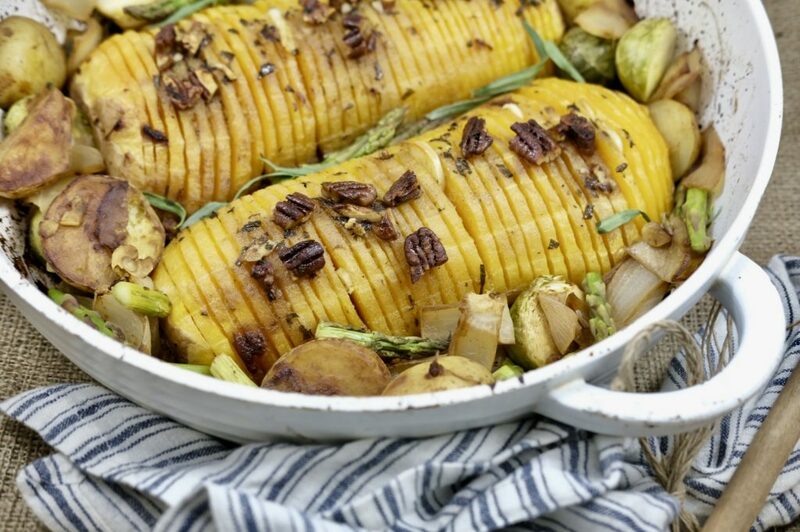 This Holiday, why not skip the Turk and whip yourself up a hasselback butternut squash? 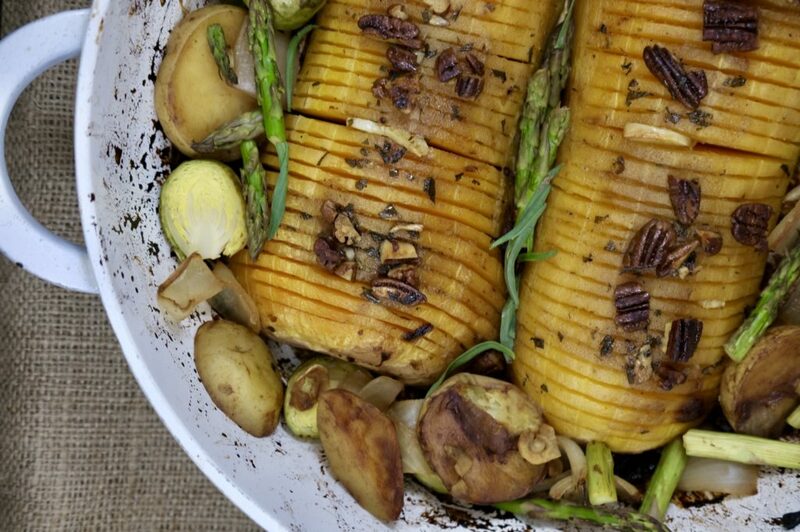 Hasselback it up to prett-ify it to the maximum, and you have yourself a wow-effect kinda dish. Why Hasselback? According to the Google-tron, it’s because once upon a time at the Hasselbacken hotel in Stockholm, Sweden, they sliced up potatoes like this, served them to the guests and dubbed them the funky name. Ya learn something new every day. If you’re a last minute kind of person, and you need to whip something special up for the holiday table, I’ve got you. In just a few steps, your house will be smelling better than Jamie Oliver’s fancy kitchen. This is a dish that looks fancier than the minimal effort you put into it. Shhh… You can tell everyone you were in the kitchen for hours and hours, I won’t tell. 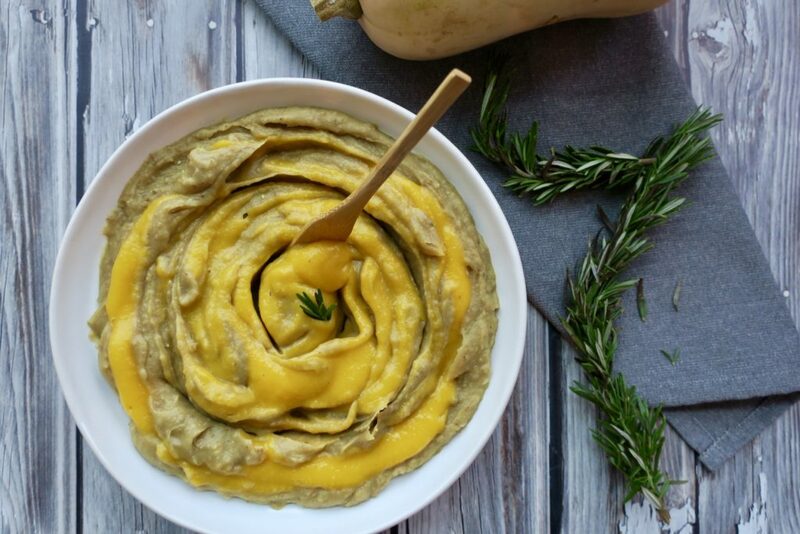 A delicious way to devour the butternut squash. If you're looking for a beautiful dish for the holiday table, you've come to the right place! A simple dish with a big wow factor. Place squash face down on a parchment-covered baking sheet, rub with oil and sprinkle with salt. Bake for 10-15 minutes (to soften). Take out of the oven, and transfer to a cutting board to cool for 10 minutes. When the face-down squash is cool enough to handle, slice the hasselback cuts as thinly as you can. Stop slicing ¾ of the way down the squash to keep the base in tact. Place the squash, face-down, back onto the parchment covered baking sheet. Stuff a few garlic slices throughout the sliced squash. Bake for 10 more minutes while you make the baste. 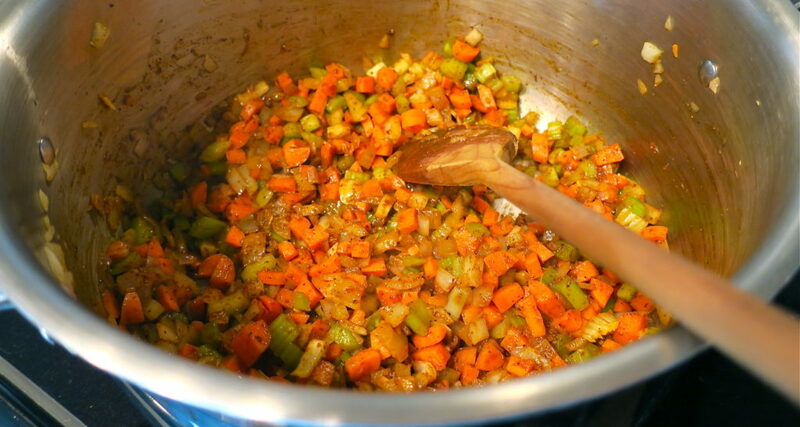 Make baste: whisk all of the baste ingredients together in a bowl. 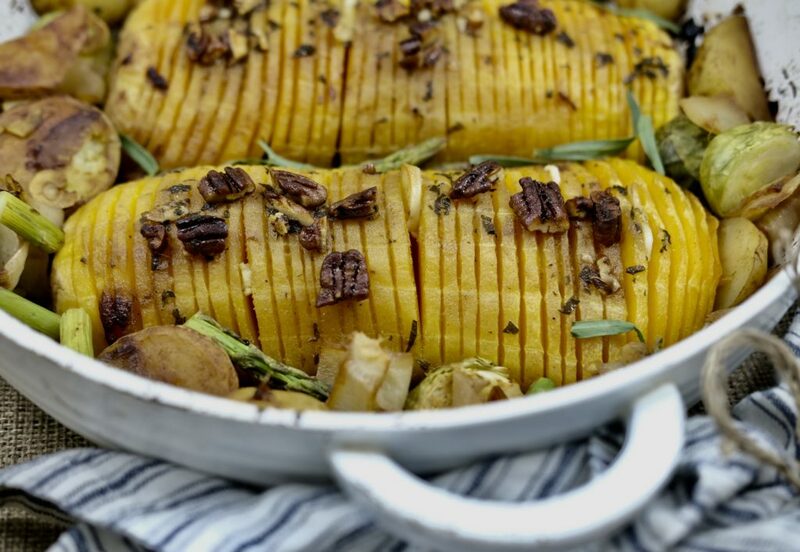 Remove the squash from the oven and pour ¾ of the baste over both halves. Use a basting brush to get it all over! Bake for another 20 minutes. Then add the pecans to the rest of the baste, and pour this mixture over the squash. Use the basting brush to spread any excess liquid on the pan, overtop of the squash. I love seeing your recipes. 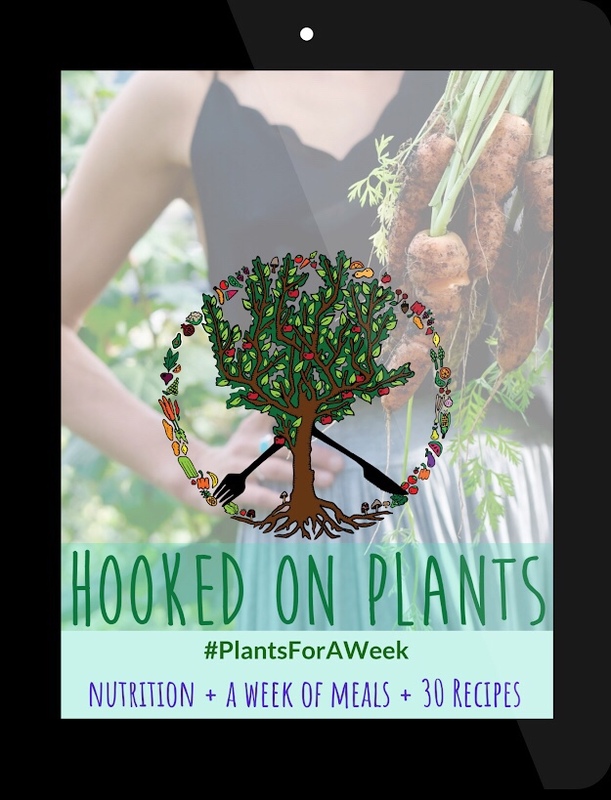 Try the #PlantsForAWeek challenge by grabbing my brand new E-Book! This vegan holiday side dish will match this Thanksgiving and Fall weather like slippers to your onsie. Simple, comforting, fun to play with and sooooo good lookin’. Holiday side dishes are usually packed with butter and cream to make them feel decadent. But, you can easily get the same kind of comfort from this low-fat, vegan beauty! A perfect dish to bring to your family dinner this holiday season. Personally, I like to keep the skins on any organic produce I have because that’s where TONS of the nutrients are found. But, if you’d like a brighter looking dish, feel free to peel the skins of the potatoes! 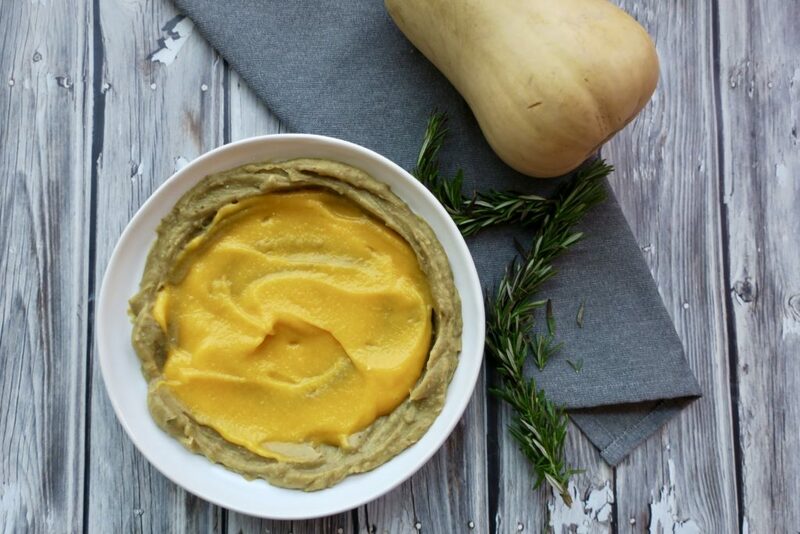 Butternut squash is a powerhouse of vitamins and minerals. It’s packed with fibre and low in fat, making it a great option for weight loss and heart health. It packed more potassium than bananas and a good dose of B6 for your nervous system. 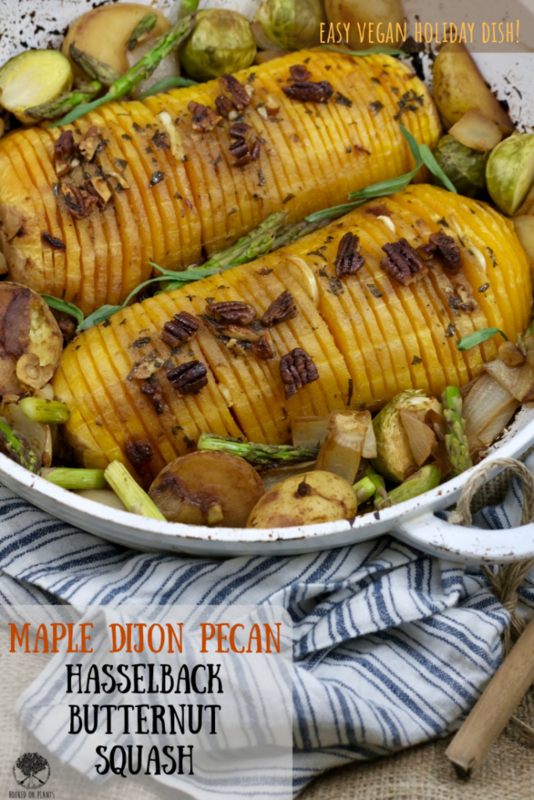 This is a beautiful side dish to bring to any dinner party, especially over the holidays for extra wow effect. It's simple, fancy looking and tastes like fall. 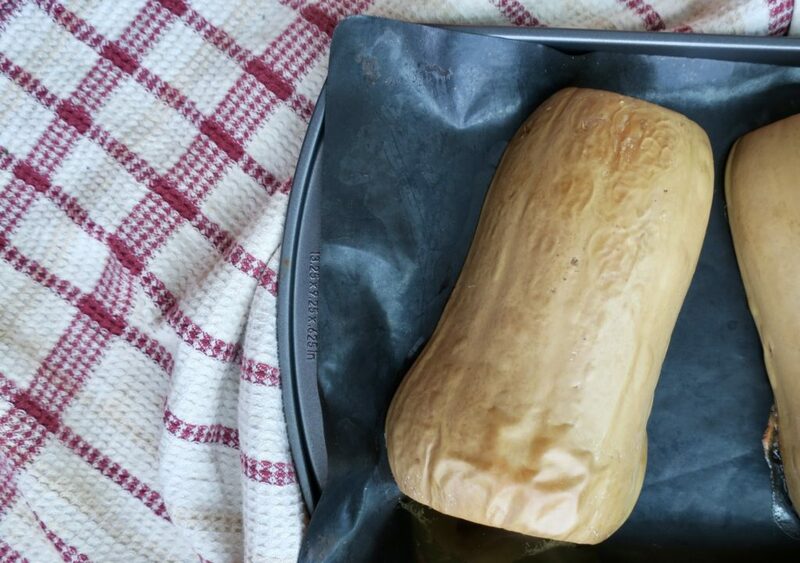 Place butternut squash open half down on a parchment covered baking pan. Cut off the ends of the whole potatoes, then pierce them all over with a fork. Place them on a parchment covered baking pan. Slide both baking sheets into the oven and bake for 1 hour (or until you can pierce a fork through the squash and the sweet potatoes are oozing with deliciousness). Flip the potatoes half way. 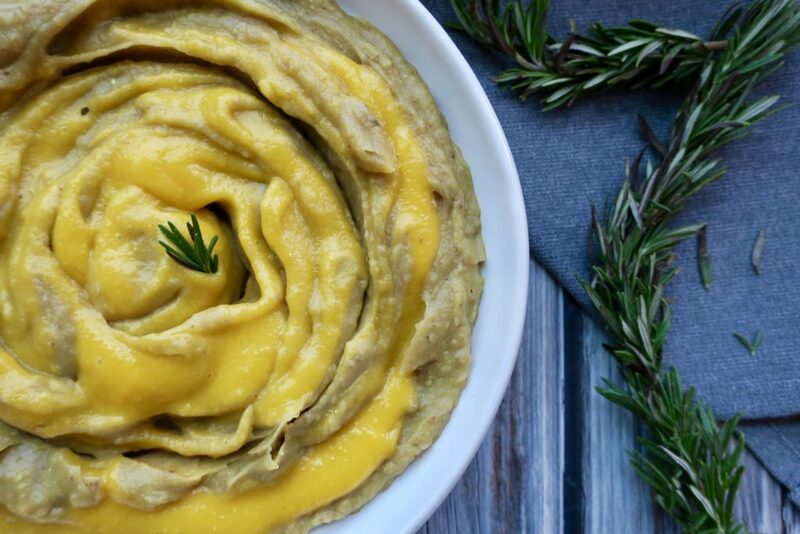 In blender or with hand blender, blend sweet potatoes, rosemary, ½ cup milk, garlic powder, nutritional yeast and salt until smooth. 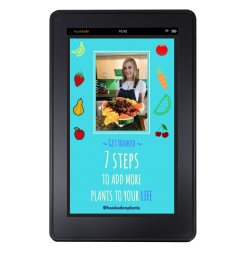 Pour ½ sweet potato mixture in serving dish, and half into a bowl on the side. 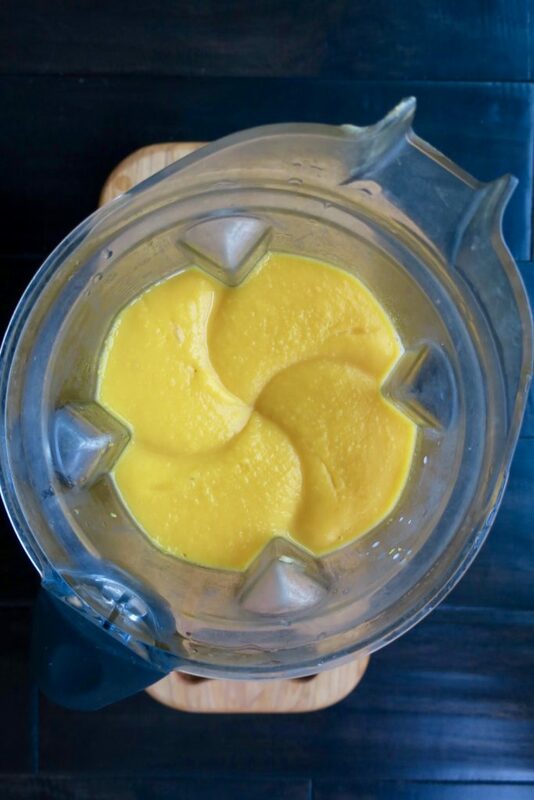 Clean blender, then scoop out butternut squash. Blend squash, ½ cup milk and maple syrup until smooth. 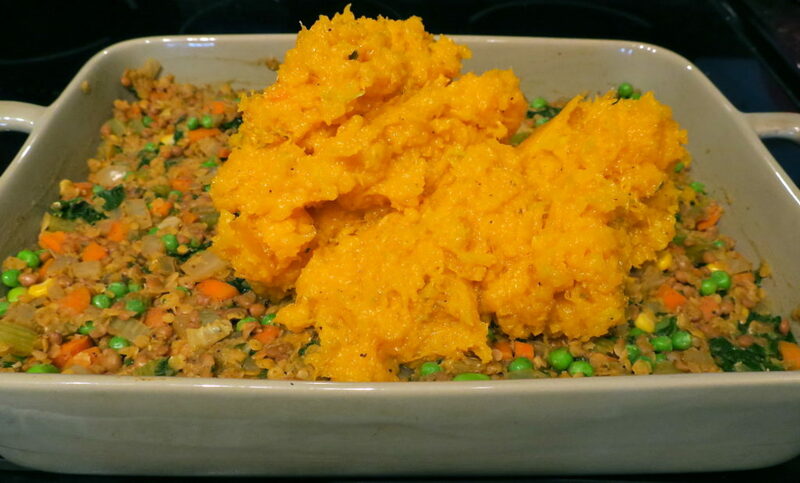 Pour ½ the butternut squash mixture onto the potato mixture in the serving dish. Layer it with the rest of the sweet potato mix you had put aside. Top it off with a layer of butternut squash mixture. With a spoon, stir several times in a clockwise motion without completely mixing the two colours. Garnish with a bit more rosemary. Colourful, flavourful, subtly spicy and a crowd-pleaser. 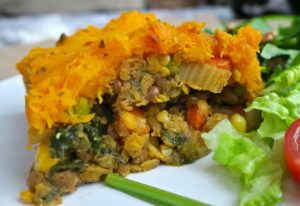 This shepherd’s pie ain’t yo mama’s! (Unless you’re lucky enough to have a Mom like mine who gives me a run for my money at this whole plant-based chef thing)…. 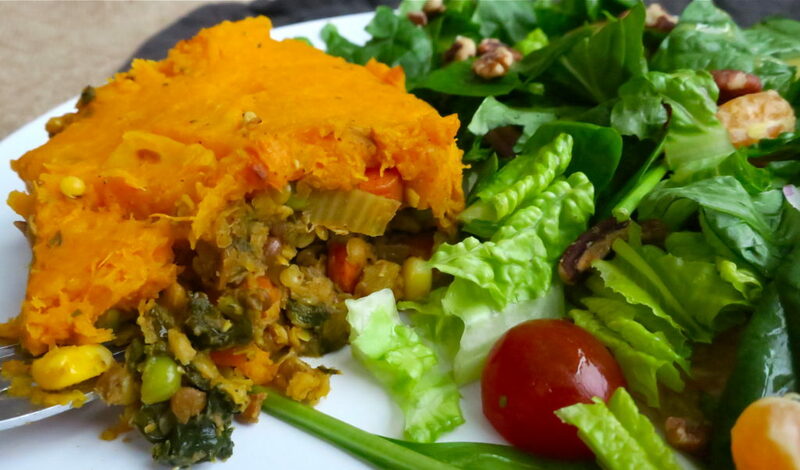 Unusual and SUPER healthy, this new and improved version features lentils instead of beef, and bright butternut squash instead of potatoes (not that there’s anything wrong with taters, but squash is mega-abundant right now and needs to be gobbled up). And of course, it just gets better by the day as the ingredients infuse each other to enhance each flavour in the mix. Leftovers for the win. Have fun with this one, and serve it at your next dinner party to get a reaction. Let me know how it goes! Here’s to comforting fall dishes and dinner parties. 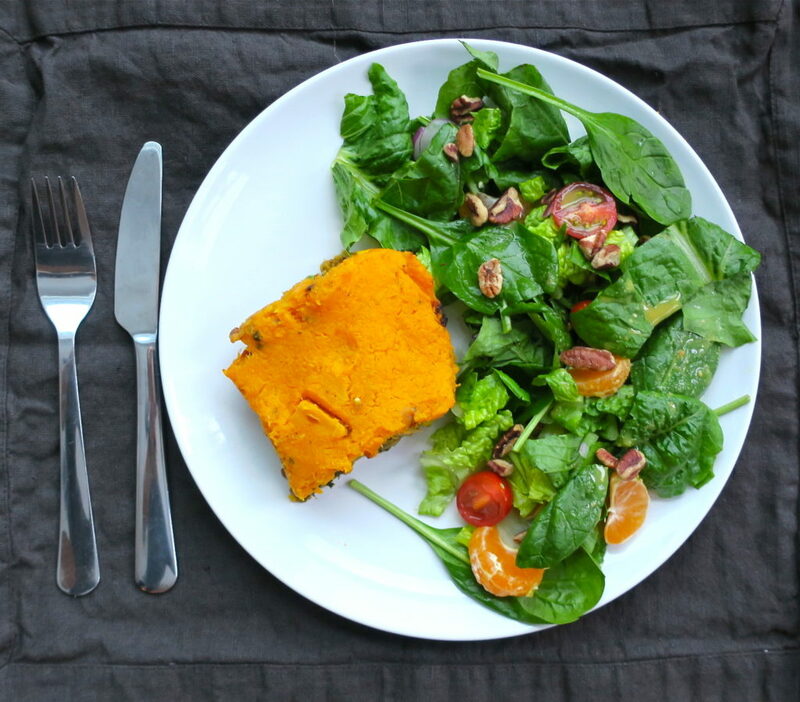 –Butternut Squash is packed with vitamin A, vitamin C, potassium and fibre. The bright orange colour of this squash means it’s packed with beta-carotene, an antioxidant that will combat cancer, asthma and help strengthen your immunity. The potassium will help lower blood pressure, and the vitamin A will help your skin and nails! 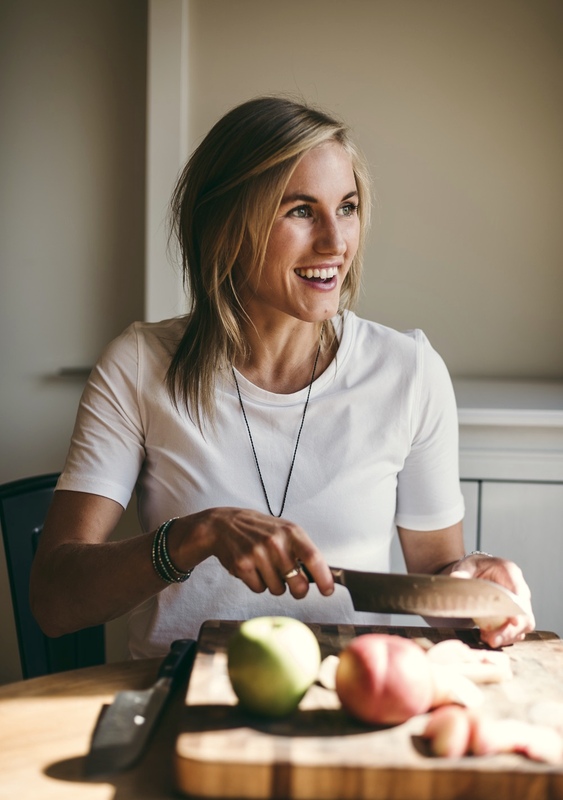 –Lentils are nutrient-dense, fibre rich, low in fat, and give you digestible and usable plant protein. We should all be eating some type of legume or bean daily. So, here’s your fix. –Kale. Can I get a kale yeah!!? A super-green packed with vitamins and minerals galore. Fibre, vitamin C, vitamin A and vitamin K are also packed in there. Here’s a good run-down of 10 benefits! Steam butternut squash until tender. Pour over a strainer and let sit until all liquid is gone. Let sweat for 10 minutes, adding more water if it’s sticking. Then add in garlic and shallot. Let sweat for another 3-4 minutes. Add curry paste, thyme, cumin and salt. Stir to coat. Add pre-rinsed lentils and enough vegetable broth to just cover. 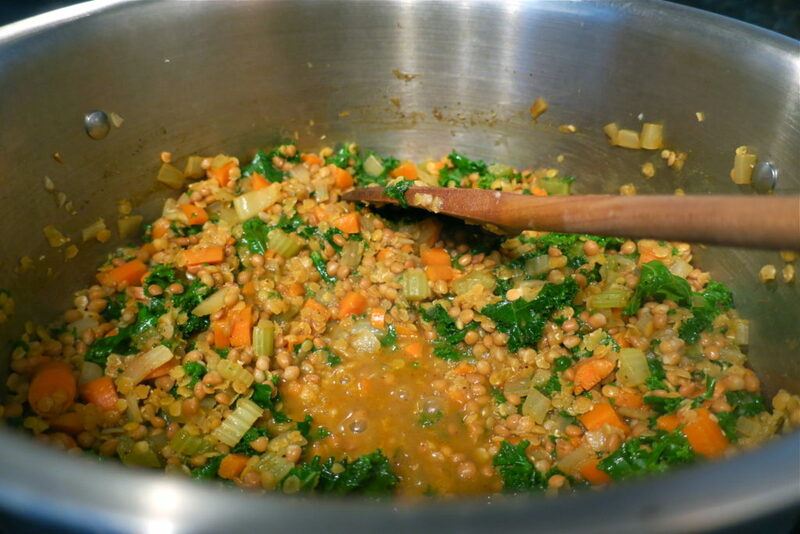 Bring to a boil, then simmer for 15-20 minutes, or until lentils are just tender. 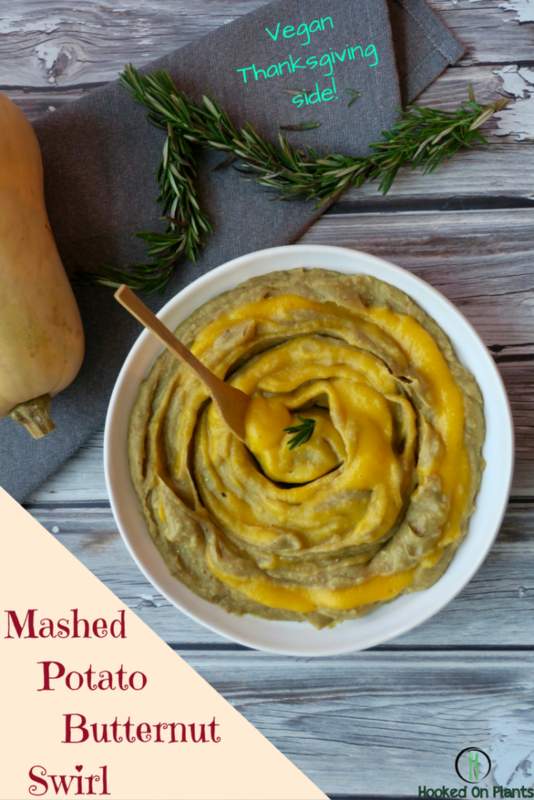 While this is simmering, place butternut squash, vegan butter, oregano, salt and pepper into a bowl and use potato masher or fork to mash until almost smooth. 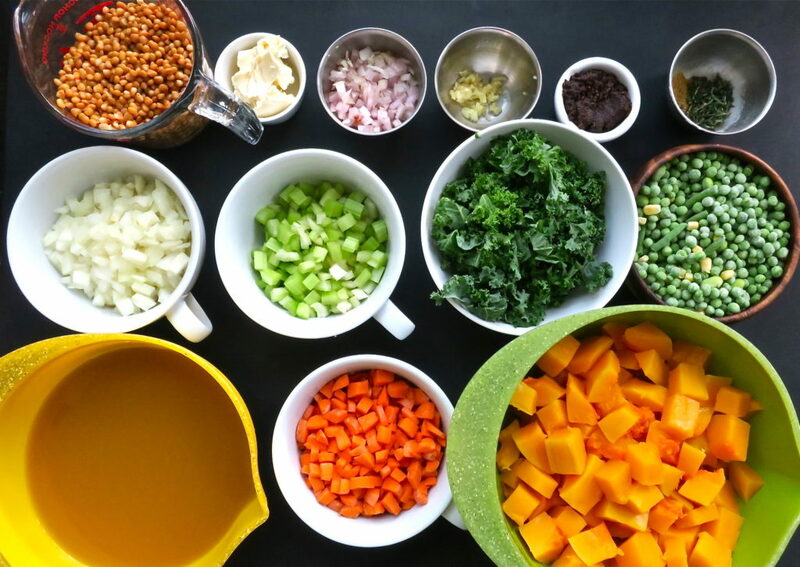 Mix frozen green peas and torn kale in the lentil mixture, then pour into oven dish (about 12″ by 8″ and 2-3″ deep (there shouldn’t be extra water in the mixture, if so, drain it out). Spread mashed butternut squash evenly over top off the lentil mixture. Broil on low for 2 minutes to brown that colourful squash. Let sit a few minutes before serving! Let cool completely before storing in the fridge.